On Wednesday, October 31, 1906 at about 1500 hours, Patrolman Joe Holzhey of the Kennewick Police Department and a local saloon owner named H. E. Roseman went to a “hobo jungle,” near the south end of the North Pacific Railway (now Burlington Northern Sante Fe Railroad) bridge near Kennewick. They were investigating two commercial burglaries that had occurred the night before in town where not only property loss, but substantial damage to the stores was incurred. The two men left the campsite and met up with Benton County Sheriff Alex McNeill and Kennewick Marshal Mike Glover who were also in the area investigating the burglaries. The four decided to return to the camp, located at Poplar Grove, to question Lake and Barker further. When the four arrived back at the camp, they were immediately confronted by Lake. Lake stood between two trees, raised his rifle and asked why the lawmen were following them. The four lawmen reached for their guns and Lake opened fire on them. Marshal Glover was shot and died immediately.  Patrolman Holzhey opened fire, but was shot and died on November 1 from his injuries. 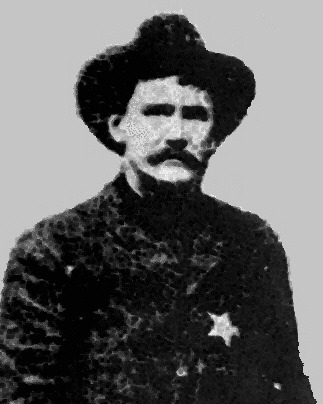 Sheriff McNeill returned fire, emptied his six-shooter and was shot once in the abdomen. Lake was shot and died at the scene. Roseman was able to get Sheriff McNeill into a handcart. He pulled the sheriff to town where a posse was then formed to find “Kid” Barker. The posse returned to the area and a large search was undertaken by a posse consisting of approximately half the male population of Kennewick. On November 1, Deputy Marshal Forest Perry found “Kid” Barker cowering in a ditch near the shooting scene. Deputy Marshal Perry began shouting at Barker to show his hands. The rest of the posse became confused, mistook Deputy Marshal Perry for Barker, and shot him several times. He died at the scene. Barker surrendered and was taken to the county jail. He escaped custody a few days later, never to be seen or heard from again. Later, it was determined that Lake and Barker had nothing to do with the burglaries.